Reception and Awards Ceremony: February 10, 2018, 2–4:00 p.m. 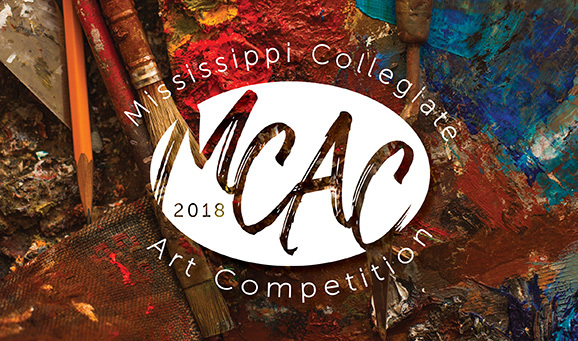 The Mississippi Collegiate Art Competition is a student art exhibition for all four-year college and university students within the state. This exhibit of student work—created in all mediums and completed within the last 12 months—is juried by Dan Brawner, Chair, Graphic Design, Watkins College of Art, Design, & Film (Nashville, TN).